Recklessness is a species of crime and should be so regarded on our streets and highways. Regardless of whatever type of vehicle you drive, everyone is equally at risk of an accident. It’s not about the kind of car or motorcycle you drive, it’s mainly about how you drive it. Practicing safe and smart decision making is key to a safe commute on roads and freeways. But the bigger question we get, which is more safe? Cars or motorcycles? There are pros and cons of each vehicle, so let’s take a closer look. Motorcycles get the bad stereotype of being dangerous due to their traumatic death statistics. 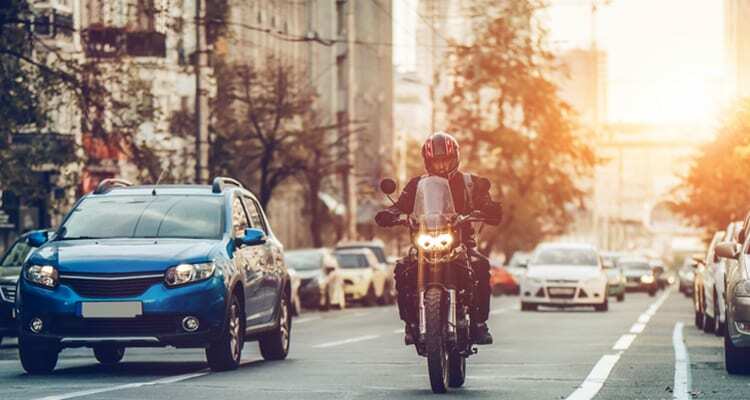 According to the U.S. Department of Transportation National Highway Traffic Safety Administration (NHTSA), drivers are 37 more likely to die in a motorcycle accident than a car. Though the number is quite small and debatable, motorcycles are quite safe when driven safety and defensively. Because motorcycles are operated by one driver exposed to the open road, motorcyclists have a wider panoramic view around them while driving. Therefore, motorcyclists are less more distracted than drivers texting or eating in the comfort of their own vehicle. Motorcycles also have more maneuvering capabilities and quicker reactions to avoid dangerous situations or potential accidents swiftly. Driving a vehicle like a motorcycle is purposely designed for the driver to stay focused and aware. The annual death of motorcycle accidents is an average of 5,024. Guess how much it is for car accidents? 12,772 (average). When driving cars, drivers take advantage of the convenience to do more things other than driving. Drivers are more inclined to text or use their phones, eat and drink, and other inattentive activities like applying makeup. But, after years and years of car design and innovation, cars have been structured secure in case of an accident. From smart seat belts, life saving airbags, and stronger design mass, cars were built to be safe, but drivers don’t know that till its too late.